+ Company Infrastructure: Scheduling, Shipping, Customer Service, IT Support, Digital Marketing, Use of Modules for Training Purposes, Trainers Support Group. How do I become a master trainer? You will sign a non-compete agreement via DocuSign. You will receive this via email after registration. You will attend the live online training to learn how to facilitate the training modules to your workshop (explain modules). Once completed you will be certified as a Master Trainer for Real Brows® and receive a Certificate. You will then provide a schedule for training that includes Sunday/Monday classes for six months. Login information for Google Hangouts prior to the class. If for any reason you don't get the login information by the day of class, email info@realeyezbeautygroup.com. What can I expect during training? Classes will last from 11:00 - 3:00 CST (Noon - 4:00 Eastern Standard Time). Class my end sooner or extend longer, depending on questions asked. Expectations - i.e. Real Brows Training Support administrators, posted review about your training experience, website listing etc. Will the training modules be available to me to use during class? Yes. There will be a link on the website to access training videos. You will have your own password to access these videos, which you will be able to access anytime. How large can I expect class sizes to be? Classes begin at 2 and are capped at 6 per class. What is my earning potential as a Real Brows trainer? Based on four classes of four each month, you could potentially earn $18,560.00. What does my Facilitation Training include? How long will it take me to get my kits for my training classes? Kits typically ship the week before training and take 3-5 days to arrive. Will my kit come with a trainer manual? Trainer manuals are included with your kit materials. Are any of the training materials available in Spanish? As of now, no materials are offered in Spanish, but this is something Real Eyez is working on implementing in the near future. What materials do trainers need when to attend the workshop? When do I give my students their certificates? Give students their certificates after they have submitted their 5 before and after photos. Click on the Real Brows Certificate to open it. Edit the Name, Certificate Number, Instructor, and Date by clicking on the text. Do not change anything else, as this is a shared document. Once you are done editing, download the certificate to your computer and print on card stock. How do I show content through AirPlay? 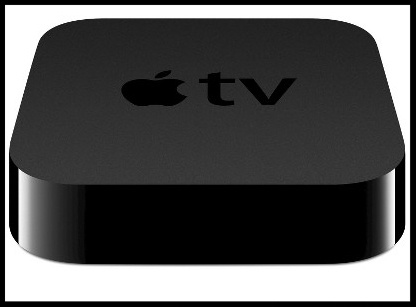 You can AirPlay photos and videos from an iOS device to an Apple TV (2nd generation) or later. You can AirPlay music from an iOS device to an Apple TV, AirPort Express, or AirPlay enabled speakers. Connect to the same Wi-Fi network on your iOS device and the device that you want to AirPlay to. In Control Center, swipe horizontally to find the Now Playing screen. On your iPad, from the list of available AirPlay devices, select the device that you want to AirPlay to. On your iPhone or iPod touch, tap AirPlay icon to find the list of available AirPlay devices, then select the device that you want to AirPlay to. In Control Center, tap AirPlay to Apple TV icon AirPlay Mirroring, then select your Apple TV from the list. If an AirPlay passcode appears on your TV screen, enter the passcode on your iOS device. Swipe up to open Control Center. Tap AirPlay icon to open a list of your available AirPlay devices. Select your iOS device from the list. You will also be able to train for the upcoming REBG Freckles Workshops coming soon!!! We are filming the program this week, and will have it launched by the end of the month! !